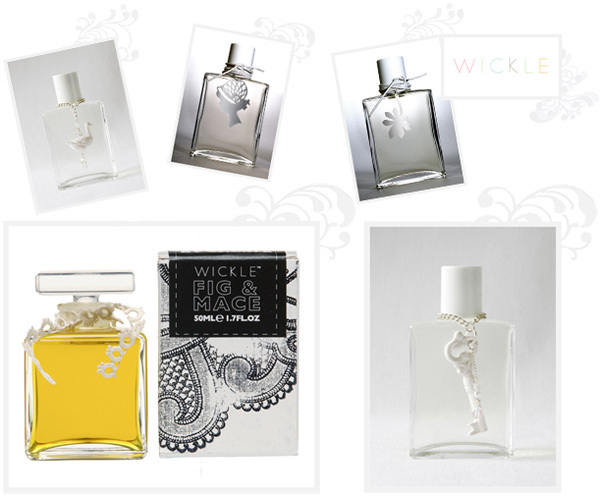 Browsing Oh Joy, i noticed Wickle and their simple, pretty line of perfumes… while i have no idea what their scents are like, the packaging is sweet, in that old fashioned girly feeling way. Fig & Mace sure sounds like a strange one though… their usual come in scents like Muskmallow, Periwinkle, and Scented Tea Leaf with various limited edition packaging - The limited edition line with Katie Brinsley features a delicate chain with porcelain objects hanging from them and Takako Copeland editions come with pure silver silhouette pendants. Hello, I’m editor in chief of design FUTU magazine from Poland. I’m in a process of preparing an article about luxiurious brands and packaging. Could you please support me with a photos 300 dpi?